The South Course was added to Granite Falls Golf Club in 2000. 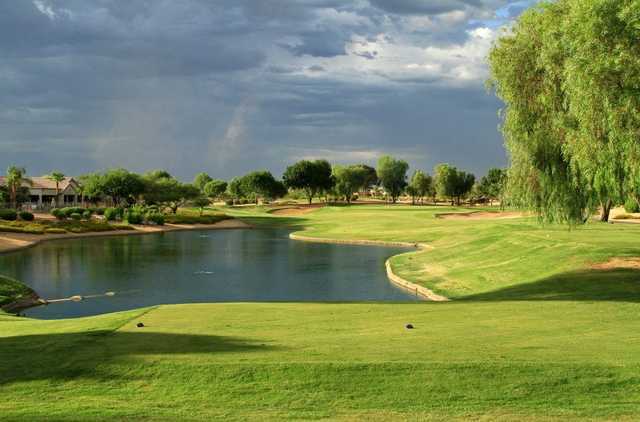 The club now offers two of the four public golf courses in the Sun City Grand residential community in Surprise. The course sprawls across rolling hills dotted with lakes and trees. The most prominent feature though is the tall and abundant buffalo grass that grows throughout the course. Like its sister course at Granite Falls Golf Club, the North, this course features generous fairways and 10,000 square-foot greens that appeal to both low and high handicappers. The bunkering is understated with only about 30 traps around the golf course, but they are strategically placed to provide a good challenge. 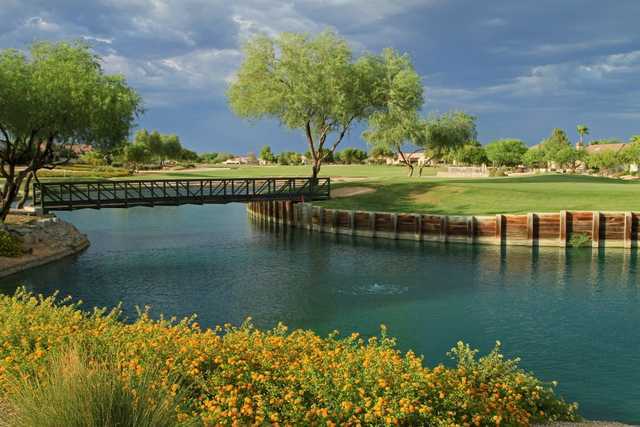 Water comes into play on 10 holes, most notably on the picturesque finishing hole. This par-5 features two lakes linked by a cascading waterfall with a scenic fountain as the backdrop.